Kalstar Aviation – Could This be the Worst Airline to Never Make the List? If you’ve travelled a lot over the years you are likely to have had a flight delay or cancellation. It’s inconvenient and frustrating at best, at worst it creates a domino effect of personal catastrophe destroying your carefully coordinated business, work or social plans. However, you’re better late than dead and sometimes delays and cancellations are inevitable for your own personal safety. But commercial air travel is a lucrative business and over the years most airlines have tried to take the edge off the pain for passengers who have to suffer schedule changes. They will provide refreshments, compensation and cover the cost of accommodation in the event of cancellation. With any service provider, some are better than others, but in the world of commercial aviation services, there are good, there are bad, then there’s Kalstar Aviation of Indonesia. 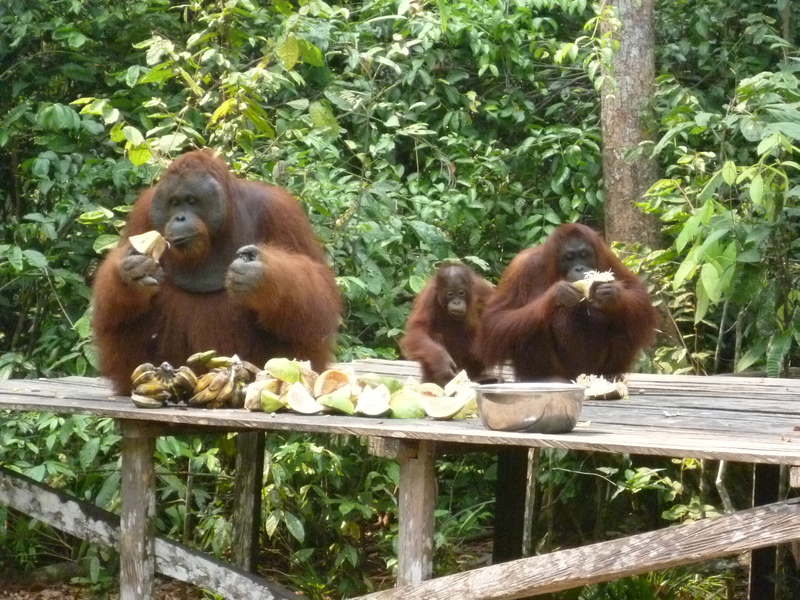 Kalimantan is the Indonesian half of Borneo and the location of the Tanjung Putin Nature Reserve. Borneo/Kalimantan is the only place in the world where you can find orang-utans living in the wild and Tanjung Putin has one of the largest protection and rehabilitation programs for this once endangered species. Thanks to programs like these the orang-utan population on the island has now returned to healthy numbers and it has become a popular location for boat tours where you can see these wonderful creatures in their natural habitat. Obviously this opportunity is limited and there are only two airlines that fly in and out of Pangkalanbun Iskandar airport in Kalimantan – Trigana and Kalstar. You may not have heard of either of these airlines but you’ll find them find both in the 2014 list of airlines banned from flying within the EU, in which Indonesia is well represented (four pages). Each airline operates only one or two flights a day out of Pangkalanbun Iskandar airport, which literally closes throughout the night. However, every year land is cleared for farming on the island, which involves a process of scorching the earth – essentially, setting fire to the brush and letting it burn down to the ground, which in turn helps to enrich the soil. Naturally this process generates a lot of smoke, which impedes visibility for pilots and results in delays and sometimes cancellations. This is inevitable, and yes you would think that the logical thing would be for the airlines, farmers and local administration to develop some kind of coordinated consensus to timetable burning and flying in a way that doesn’t cause too much disruption – but this is Indonesia. When you have spent any lengthy period of time in Indonesia you realise that logic is not a strategy that is deployed in much of anything. So having a flight scheduled to leave at 13:15 on 13th October put forward to leave three hours earlier, meaning you have to pay to stay an extra day and change your flight is not good but not a massive surprise. Having to pay Kalstar Aviation for their mistake is pretty bad. Turning up at the airport at 12:00 for a 13:15 flight to find out your new flight has been delayed by two hours, and then sitting around until 17:00 whilst watching Trigana planes land and take off with passengers is absolutely infuriating. But when your flight is cancelled and you’re told that you aren’t entitled to be fed, compensated or put up for the night in a hotel because the delay was caused by the weather, it’s going beyond a joke. We were a party of eight, which included a feisty Danish woman in her 60’s and she wasn’t prepared to let it lie. Having lived in Indonesia for many years she spoke pretty good Bahasa, so she confronted the staff in the Kalstar office, who seemed pretty unconvinced by their own directive. With a crowd of stranded Indonesian passengers looking on they were under pressure, so in hushed tones they admitted that they wanted to give us ‘special treatment’ but they didn’t want to lose face in front of the people outside. So they suggested that we go to speak to the airline brand manager in Kalimantan. Our tour guide was helping us with our situation and he gave half of our group a ride into the village whilst the rest tried to find out our hotel options. Perhaps it was an archaic notion of masculine pride and superiority that made Mr Mursalim, the brand manager for Kalstar Airways in Kalimantan, so stubbornly unyielding, because he struck a defiant pose when myself and three middle aged white women, all of whom spoke Indonesian, invaded his office demanding satisfaction – politely of course. Maybe his delicate male ego prevented him from showing any sign of weakness in front of the three young women in headscarves sat at the front desk of the Kalstar Aviation office. Whatever the reason Mr. Mursalim chose to fail on every level of customer service and personal integrity in not even uttering so much as an apology, I can only speculate. But he repeated what we were told at the airport, that we were not entitled to refreshments or accommodation for the night because the problem was caused by the weather. The reason Mr. Mursalim gave as to why Trigana planes could land and take off but Kalstar ones couldn’t was that Trigana had lower safety standards. This may have been the case, but considering both airlines are banned from flying in the EU it was a bit like the pot calling the kettle black. Trigana, did have one of their flights cancelled, but they were at least making provisions for overnight accommodation for their stranded passengers, and when I asked a representative at Trigana if it was true that their airline had lower safety standards, he said that their pilot was maybe more experienced. He also said that their airplanes were the newer Boeing 700 jet aircraft whilst Kalstar planes were the older 500’s. So the real reason why Trigana’s customers got to leave Kalimantan was more likely because their planes are better, not because Kalstar are more safety conscious. So not only is Mr. Mursalim, the brand manager of Kalstar Airways in Kalimantan, arrogant and unapologetic towards his customers, he’s also probably slanderous and probably a liar. Having conceded defeat in our attempt to elicit any grace from Mr Mursalim for his airline’s epic fail, our party of eight – which included two women in their 60’s – had to be driven around Kalimantan to find a hotel that wasn’t full. We then had to scratch together what money we had left to pay for food and accommodation – and we were fortunate. There were people left at the airport who had no knowledge of Indonesia or the language. There were native people who may very well have had little money for alternative accommodation. There were people who, as the rain poured down, we’re literally left stranded in the darkness by Kalstar Aviation. At around 10.30 pm later that night I and the rest of our party received a message from Kalstar Aviation telling us that our flight was scheduled to leave at 07:25 the following morning, which meant we needed to be at the airport at around 6:30 for check in (this was the first message of any sort I had received from the airline with regard to any of the schedule changes). As far as we knew there wasn’t a flight on their schedule that left at 07:25, but there was one at 10:15. However, we didn’t want to take any chances, even though this meant that we would have to leave before breakfast. Of course we asked for our breakfasts to be packed up to take with us in the morning, and of course the hotel staff said that they would arrange this, and of course, with this being Indonesia, there were no packed breakfasts waiting for us when we checked out at six. So off we went on empty stomachs to the airport to check in for our flight. But of course when we arrived the flight wasn’t even showing up on the screen, which is not too uncommon in Indonesia. Then when it did show up, it read that it was delayed! Fortunately it did arrive – at 10:15! When we went to see Mr. Mursalim of Kalstar Aviation the night before, he had made the concluding statement that “This is not America”. This highlighted the ignorance of the man’s character since none of us were actually American citizens. His statement also offended his country and the company he represents, as it implied that we shouldn’t expect efficiency, integrity or even civility from an Indonesian airline. This attitude is not and should not be acceptable in any company or organisation anywhere in the world that has aspirations to progress and improve. 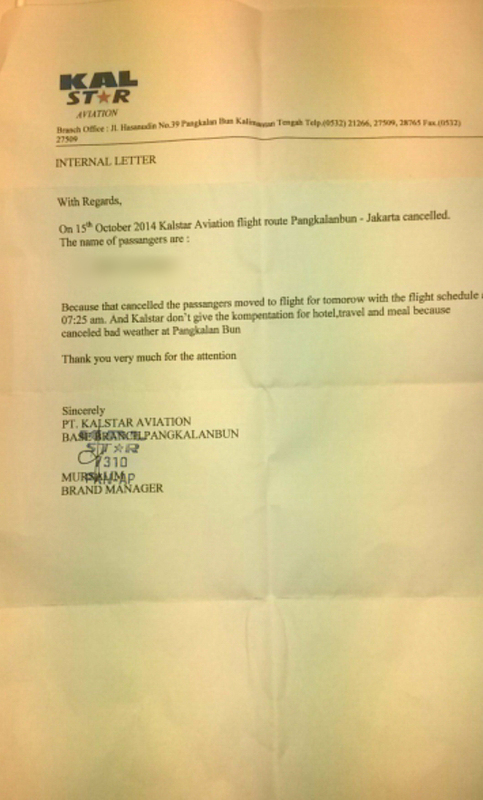 It should also be a warning to anyone intending to fly with Kalstar Aviation in the future – don’t. Use another airline. In the face of growing corporate power and the indifference to service that some companies promote, the greatest power any individual consumer has to effect a change in attitude is their freedom of choice. Aside from that, who would want to ruin a great trip by being left stranded in an airport by an airline that couldn’t give a damn about its customers – and actually have to pay for the privilege. Not me. This entry was posted in Travel and tagged airport delays, Borneo, customer service, flying, Indonesia, Kalimantan, Kalstar aviation, Orang-utan, Tanjung Putin Nature Reserve, travel, travel in indonesia, worst airlines. Bookmark the permalink. We’ve traveled and we’ve been stranded. British Airways behaved almost as badly as Kalstar Aviation, leaving a whole airplane full of travelers going from Tel Aviv to New York sitting on our luggage at Heathrow for 40 hours … no food, no lodging, while we waited for them to find a new plane (the old one would apparently no longer fly). But I think you’ve topped even that horrific experience. My patience threshold has been increased, that’s for sure! Although reading through the first draft of the posting you read it was littered with mistakes, so maybe my rage had a delay and clouded my internal editor – I’m all better now though (grrr). I am the typo queen, so I don’t even notice them … not mine, not yours. As for travel, I’m actually phobic about air travel. I’ve had so many awful experiences with airlines, I’m actually afraid of them. I’ll have to overcome it if we are ever going anywhere to which we can’t drive, but I dread it. Especially being at their mercy. Once you are in their clutches … well, you know. Unfortunately, now I do. But you know, after over 20 years of travelling, including a year working for a holiday company and supporting guests at airports, I’ve only had two, maybe three delays. Two trips in this country within a montj and that stat has been doubled. When I lived in Israel, I did a lot of flying back and forth to NY. I learned to avoid British Airways, embrace KLM and SwissAir (pity about SwissAir) … and be highly dubious about most American airlines. Inside the US, USAir stranded us in Atlanta, cancelled our connecting flight to Boston — left us standing there with a luggage and no way to get home. We’ve been grounded by weather, broken airplanes, overcrowded runways, failed food service. You name it, it has grounded us. Getting somewhere on time and on the flight we booked was rare. I don’t think we ever did better than 50%. My friend has just got back from Singapore. He has been here for two months and had seven or eight flights. He has achieved a 100% delay record with Indonesian flight services so far. That is impressive. We all perils await in our travels. 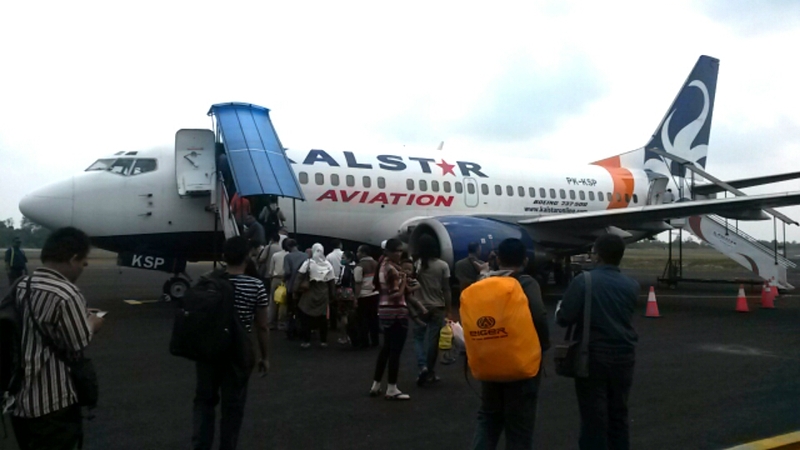 This is it, the airline from Hell, stranding you somewhere in Indonesia. Are we there yet? A new definition of travel hell. I think I did that with USAir. I don’t think any of their flights were ever on time. Not even once. Surprisingly, they are out of business. I wonder why? I am sorry about the lousy treatment you received, but your report that the number of orang otungs in the wild has increased. I have only seen these fiery colored animals in zoos. The old men of the forest are flourishing alongside the gibbons and other wildlife on Borneo thanks to the work of the conservationists since 1971. Its trees that are struggling now. Illegal wood poaching is a big problem in Indonesia and Cambodia.